Why another Bible site? What makes Bible.Logos.com different? Here are a few reasons we think Bible.Logos.com will soon become your first choice for searching the Bible on the web. Efficient UI: Its unique user interface allows you to do more—more quickly and more conveniently—without having to continually load new pages and without losing your place. (1) Search results and Bible text are side by side. (2) Both use infinite scrolling. (3) Switching to a different version is seamless; your location and search results are instantly mapped over. Incredible Speed: It’s blazingly fast. Searches are instantaneous, and pages load in a flash. Smart Searching: It uses cutting-edge fuzzy searching technology so you can search the Bible more like you search the web. Search results are prioritized so you get the best hits first. 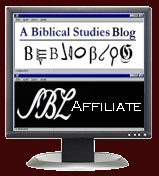 Seamless Integration: WBSA, RefTagger, and Bible.Logos.com will all be tightly integrated into a growing family of websites allowing you to have a more connected Bible study experience—both on and off the web. There are lots of translations available and switching between them is quick. Translations include: NIV, ESV, NLT, NKJV, KJV, NIRV, TNIV, Westcott-Hort GNT, Darvby, ASV, Apocrypha of OT, Tischendorf GNT, Textus Receptus of Stephanus / Elzevir / Scrivner, Cambridge Paragraph, KJV Apocrypha, YLT, Arabic, Clementine Vulgate, Byzantine GNT, and more including some languages like Spanish, German, and Maori. Searching is very fast. I also like the 'fuzzy' searching capability. I searched for "parable and kingdom" in the TNIV, and it returned passages like Luke 8:9-10 where each word occurs in a different verse and Matthew 13:51-53 where the word "parable" does not occur at all, but Jesus is using a brief parable to talk about the kingdom. I look forward to their promised integration of this site with the RefTagger tool (which you should have noticed at work in the biblical references in the previous bullet when you hover over them) and with their "What Does the Bible Say About..." site, another tool which I have integrated into this blog at the very bottom of the page.